Tire and Brake Clinic is a new and used tire center near Hebron CT. Just down the road in Columbia, you will find all the major brands of new tires and quality used tires for your truck or car. Our inventory includes tires in the sizes you are looking for. You can save a lot of money if you buy used tires for your vehicle. Because most of our tire purchases are unexpected expenses, they can come at a time when we can least afford it. If the rest of your tires are still in good shape and all you need is one, shop for a pre-owned tire that still has plenty of miles left on it. Unless you are holding on to your car for at least 5 years, why not just purchase used tires? 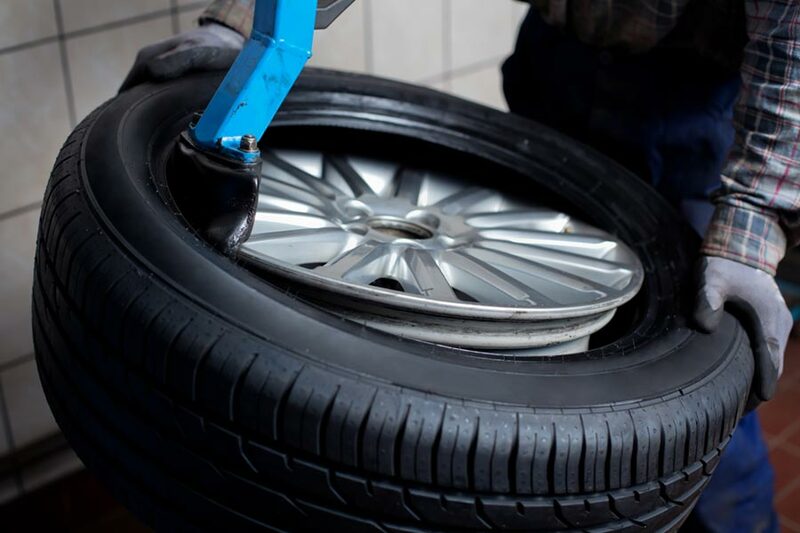 Whether you have a new vehicle or a classic car, you should be certain that your car’s spare tire is roadworthy. Getting a flat or having a tire fail on a new car is not unheard of. Don’t wait to have a blowout on the way to work to discover there’s no spare under the trunk. Now it’s not fun changing a tire in rush hour, but you can be on your way within 15 minutes if you only had a spare. Call Tire and Brake Clinic today and get yourself prepared for the flat that always seems to happen at the worst possible time. How you care for your tires can save money on gasoline, keep your car under control in wet weather, and may just save your life. Keep an eye on the tire pressure and tread wear to prolong the life of your tires. Correct air pressure helps your tires last longer, helps your car handle better and safer, and helps save money on fuel. Your vehicle owner’s manual, the label inside the driver’s door, or possibly a label inside the gas cap, may list your tire manufacturer’s recommended psi for each vehicle. Manufacturer’s recommended psi for tires may be different for the front tires than the rear tires of a vehicle. Rotating your tires every 6,000 to 8,000 miles promotes uniform wear. Improperly aligned wheels can create rapid and uneven wear and steering and tracking problems. Have questions about our used tires in stock? Call 860-228-0212 today.